The Concept Arc range will make a design statement in the bathroom with it's organic soft curves and contemporary design. 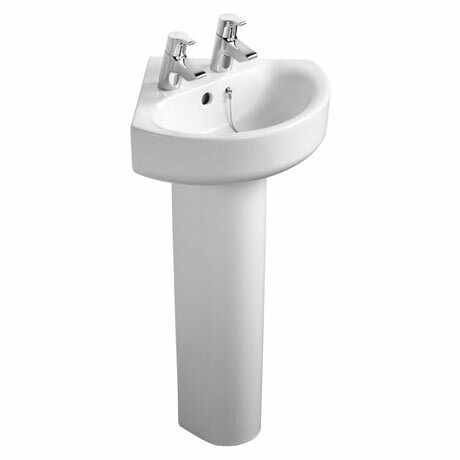 This handrinse basin and pedestal is ideal for small bathrooms and en-suites thanks to its compact design. Manufactured using high quality fine fireclay, the basin features a single tap hole, built in overflow and chainstay hole. Dimensions: (W)475 x (D)440 x (H)800mm approx.